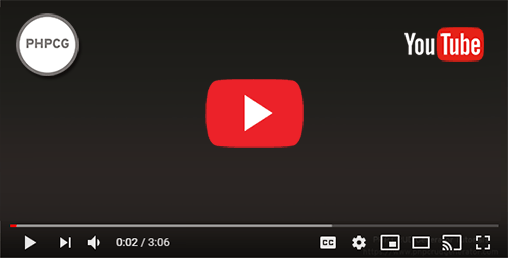 Developed using the most popular web technologies, PHPCG is a powerful and intuitive tool intended to create administration panels for websites. 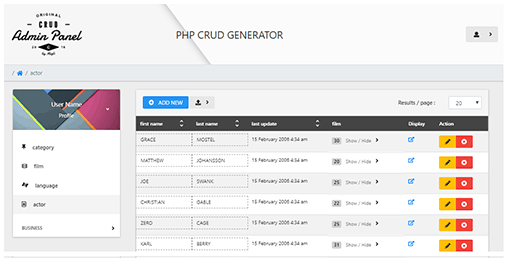 in minutes with PHP CRUD Generator. 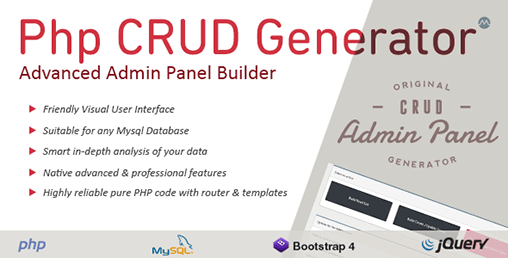 Built with pure PHP, MySQL, Bootstrap 4 and jQuery, PHPCG analyzes your database and allows you, using a simple and intuitive interface, to create a complete CRUD admin with advanced features. 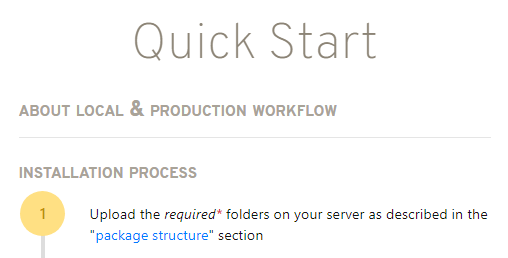 With the content management system generated you can manage any type of structure and content. The administration panel can be customized as desired: custom labels, nested tables, navigation with organized categories. The demo and online documentation will help you get to know the tool before you make your choice. 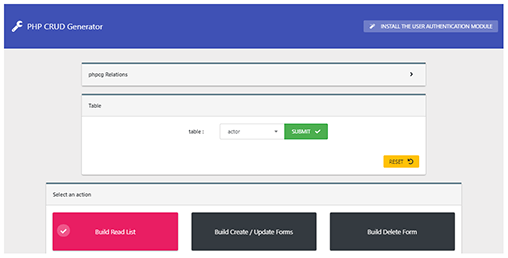 Unlike most other CRUD utilities on the market, with PHPCG you won't have to program the elements of your website admin panel. 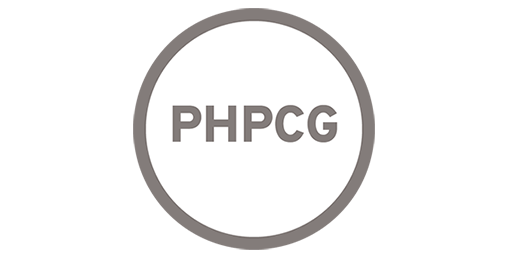 PHPCG provides an engine capable of an in-depth analysis of your database, which allows it to understand the logic of your application, extract the structure and data in a relevant way: field type analysis, validation criteria, primary and foreign keys. The online demo allows you to test the tool without restriction. Data is reset at regular time intervals, so this may occur during your use. The various components of the customer administration panel are generated or edited in real time during the validation of each form. You can therefore access the client administration panel at any time and test its functionalities. The Generator includes a single i18n translation file - The admin panels can use any custom language.